« Shanahan To Take Over the Bolts in 2009? The San Diego Chargers have announced that their Saturday night playoff game against the Indianapolis Colts has been sold out, and will be televised in Southern California. Meanwhile, the team has announced that the powder blue uniforms will be worn for the game. 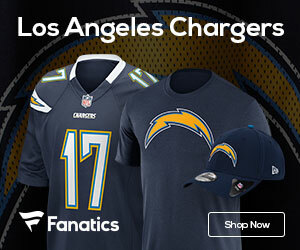 The Chargers had to scramble to get the alternate jerseys back from the league, since they were in the process of being auctioned via NFL.com.